Dany Turcotte is an Electrics coach and mentor for a Robotics team in Quebec. His team participated in the FIRST (Fostering Inspiration and Recognition of Science and Technology) Program. 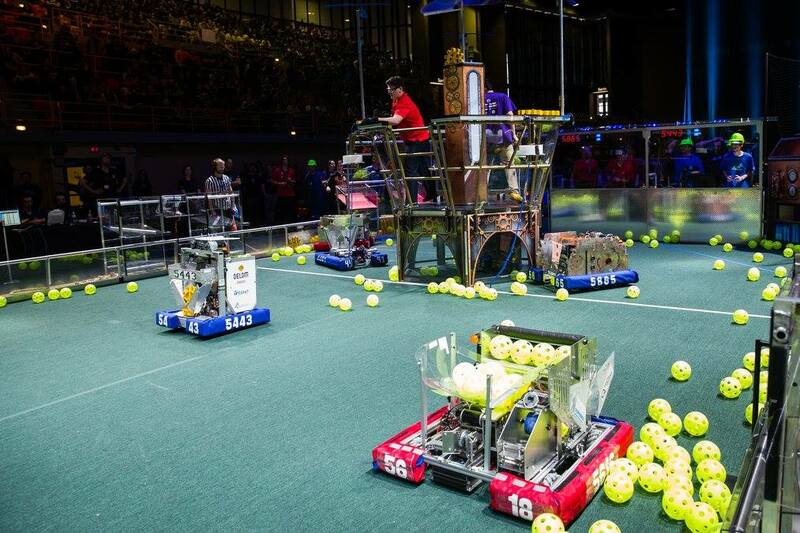 The FIRST Quebec Robotics Program is dedicated to Fostering Inspiration and Recognition of Science and Technology among Quebec youth (FIRST Inspire subdivision). This is done by engaging them in an innovative robotics mentoring program that builds on the expertise of engineers, academics and other community members, while developing essential skills and abilities such as self-confidence, communication, teamwork, professionalism and leadership. He was involved at the very beginning of the adventure-during the integration phase of this extracurricular activity in 2015. He worked with a friend who was in charge of the mechanical aspect. Two of his children were also involved in this program. Everything needed to be built: tools, teaching material, and especially, defining where we were going with it. During that year, some 15 young people actively participated in this activity! The team finished 5th in the qualifications. They won the Rookie Team with the highest score. Despite our great challenges, the team was defeated in the quarterfinals. The ice was broken! In 2016, Dany participated again, without his children. In order to develop certain additional skills during the manufacturing of the robot, we offered theoretical training to the 20 young people who participated in the activity. They made a simple and robust robot. They ranked 1st in the qualifications, and won the finals! Next stop was the World Cup in St. Louis, Missouri. Dany’s team finished 15th. In addition, they were awarded the Entrepreneurship Award for our business plan. In 2017, Dany started a 3rd year confidently, with the same agenda as the previous year. 40 young people enrolled in the program. They finished 18th in Montreal, and participated in the finals: a nice extra silver medal to their credit. For 2018, the door is wide open to new challenges. Dany looks forward to discovering the new cohort of students who will join the Robotics Program, in order to surpass themselves on a technical level, and face major challenges.